There are plenty of arguments for and against using a mop while you are cooking ribs. Many people will argue that using a mop will make your outer crust soggy, but not if you apply it at the correct time. We’ll get to applying your mop in just a little. 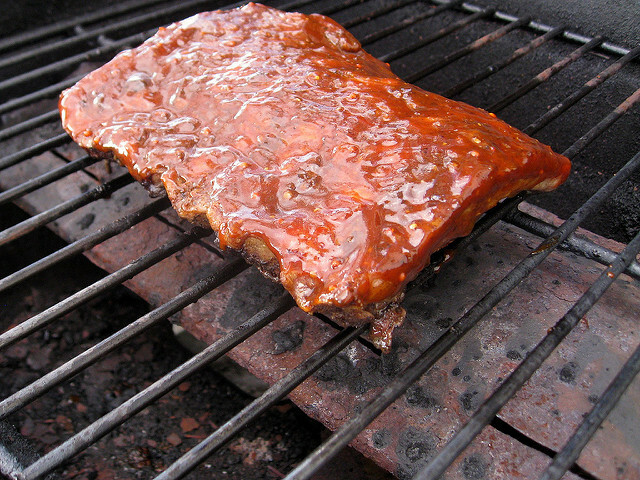 Not only will using a mop not make your ribs soggy, the moisture will attract smoke to your ribs (in a good way) giving them more of a smoky flavor in a shorter amount of time. Also, if you are cooking your ribs low and slow (which we hope you are), a mop will help keep your meat from drying out. Depending on the ingredients that you use to make your mop, it can help caramelize your meat and add extra layers of complexity. Many people think that these layers can come from using a BBQ sauce. Please be wary because the extremely high sugar content can cause your meat to become charred and dry. In our humble opinion, we like using mops because it gives us a chance to add even more mouthwatering flavor to our ribs. When it comes to making a mop you might be wondering what type of ingredients to use. It needs some liquid along with some dry stuff, oh and a bunch of flavors like you’ll find in our Josephine’s Original Blend. But how do you get there? First off, do not use the same liquid that you originally used to marinate your meat. This can cause cross contamination between your partially cooked meat and the marinade. If you would like to use the same ingredients feel free to whip up a new batch and give your ribs a fresh start. Before making your mop, there are a few things to keep in mind. First, mops should be thin, no thicker than fruit juice. For this reason, we suggest making your own from liquids and spices as opposed to mixing BBQ sauce with vinegar. Although the second option will work in a pinch, this mixture will not apply as evenly to your ribs. Commercially distributed sauces also typically contain extremely high amounts of sugar. Although sugar is a necessary ingredient for forming a crust, too much sugar can create large amounts of smoke and char your meat. Now that you know the basics, you are ready to start gathering ingredients to make your mop. You can begin by deciding what type of liquids to use. Many people like to use apple cider vinegar to make their mop, along with other complementary liquids such as whiskey, bourbon, Coca Cola, Dr. Pepper, lemon juice or even cherry juice. This is also where you can play around with some of your favorite flavor profiles to reach a balance that is just right. If you are using soda in your mop, make sure it is not diet. Also, using flat soda will keep your mop from foaming and fizzing when it is placed on the grill. A super simple mop can be made from just apple cider vinegar and some of your favorite BBQ rubs. 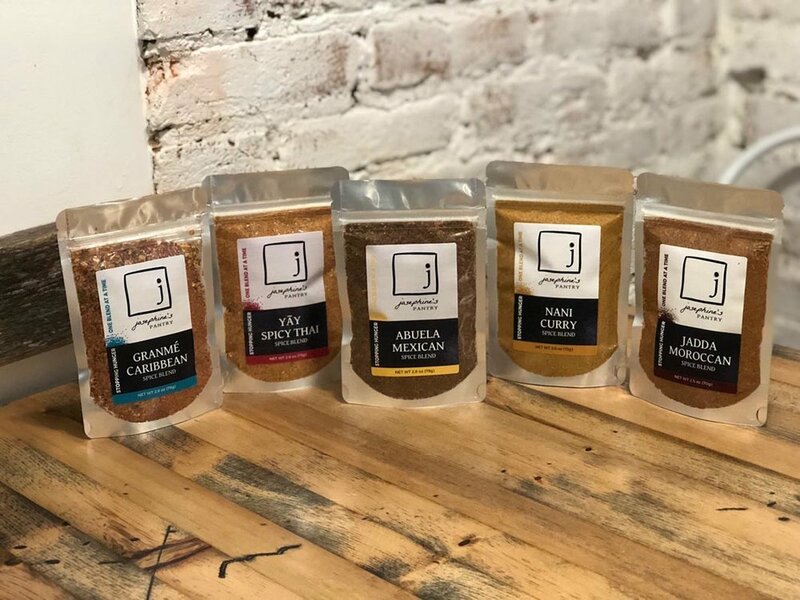 Did I mention Josephine’s Pantry family of Spice Blends…Just sayin! We recommend adding 1-2 tablespoons of blend to one cup of vinegar, or whatever combination of liquids you are using. The best time to apply your mop is right after the crust has formed and you have flipped your meat. This will allow your mop to marry with the hot and bubbly surface of the crust where the meat juices are. Many people are under the impression that you should never open a smoker or grill while meat is cooking. While you shouldn’t leave the lid open for long periods of time, it is quite okay to open the smoker or grill to spray or mop your meat. This is because most of the heat that is used to cook your meat thoroughly is stored in the outer layers of the meat and slowly transferred to the inner sections of meat. This temperature will stay almost the same when the cooker is opened, and the internal air temperature will quickly reheat once the lid is closed. We believe a rib mop can not only help you create a more complex flavor for your meat, but it will also help keep it moist while cooking low and slow. Just remember that too much sugar is the enemy when it comes to making a mop and you should be well on your way to friends and family asking for your secret. This blend is simply delicious on all types of wild game. It has a smoky profile with some sweetness and a touch of heat. Can you say, “dry rub for venison ribs?” Yes you can!